Philip Morris Limited has sold its former operations site in Moorabbin and will relocate its Australian headquarters to South Wharf in Melbourne later this year. 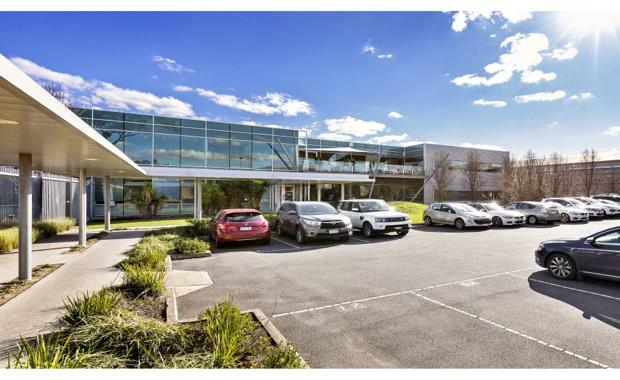 The 6.27 hectare Moorabbin site, which includes operations buildings, an administration building totalling 50,384 sqm and car parks, has been the company’s Australian headquarters for more than 60 years. Philip Morris ceased manufacturing in Moorabbin in November 2014 and transitioned all Australian cigarette production to Korea. The site was offered for sale in October last year following the decommissioning of the operations facilities and disposal of surplus equipment, much of it donated to charity. JLL’s Andrew O’Connell and James Kaufman negotiated the sale of the Moorabbin site. Following an expression of interest process, property investment and development company Up Property purchased the property for an undisclosed amount. “We experienced strong competition from seven parties during the bid process which reflected the lack of available development land in the Moorabbin area,” Mr Kaufman said. Up Property plans to re-brand the property by creating a business park. The company intends to retain a number of the existing buildings, refurbish some and build some new buildings, offering a variety of office, hi- tech, manufacturing and warehouse space to the market for lease through JLL in the coming months. Up Property have had extensive experience in managing, leasing and repositioning other commercial assets such as their site in 88 Ricketts Road Mt Waverley (recently sold) and their 215 Browns Road Noble Park (currently undergoing renovation). Philip Morris Managing Director Nikitas Theophilopoulos said the company was looking forward to relocating to South Wharf Tower at 30 Convention Centre Place, South Wharf. “The South Wharf Tower offices are on the Yarra River in the heart of Melbourne and will be an outstanding location for the company’s new national headquarters,” Mr Theophilopoulos said. “Moving the company to the city makes commercial sense, brings us closer to our business partners and many of our stakeholders and provides an opportunity for us to develop our business in a new direction. Philip Morris has signed a long-term agreement to lease approximately 8000m2 of office space across three floors in South Wharf Tower and plans to relocate all 300 Melbourne-based staff in August. Philip Morris engaged JLL’s Tenant Representation Director Angelo Pavanello to undertake the lengthy process of sourcing and securing premises that will align with its long term accommodation needs.